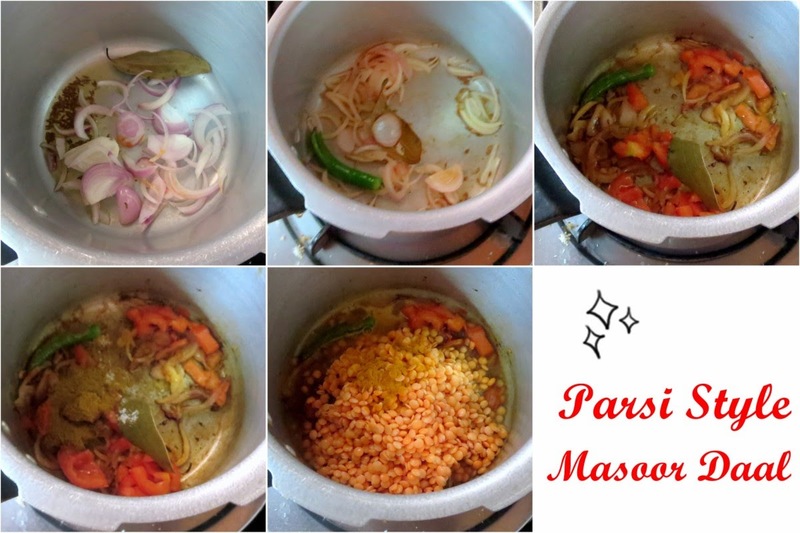 The other dish that I made with Vaghareli Khichri was this Masoor dal, parsi style. I made Tareli Vengna ni pori as a side as well. Though Hubby Dear didn’t like the Brinjal much, I enjoyed it and the over all experience of serving all these three dishes was good. Though I had planned some more elaborate dishes that were possible in vegetarian, I didn’t foresee summer vacation happening and I didn’t have anything ready. So the other dishes will have to wait now! In a pressure cooker, heat the oil, add all the spices. Then add the onions, saute well. Add ginger garlic paste. Add the chopped tomatoes along with salt and spice powders, saute well. Add the drained masoor dal, combine well and add water. Cover with lid and pressure cook for 2 -3 whistles. Once the pressure falls, remove the lid and garnish with coriander leaves. That is such a flavorful dal with the addition of vinegar, jaggery and garam masala. I don't have many recipes for dhal. I need to definitely give this one a try. I love these dal variations found across India and this is one flavorful dal. 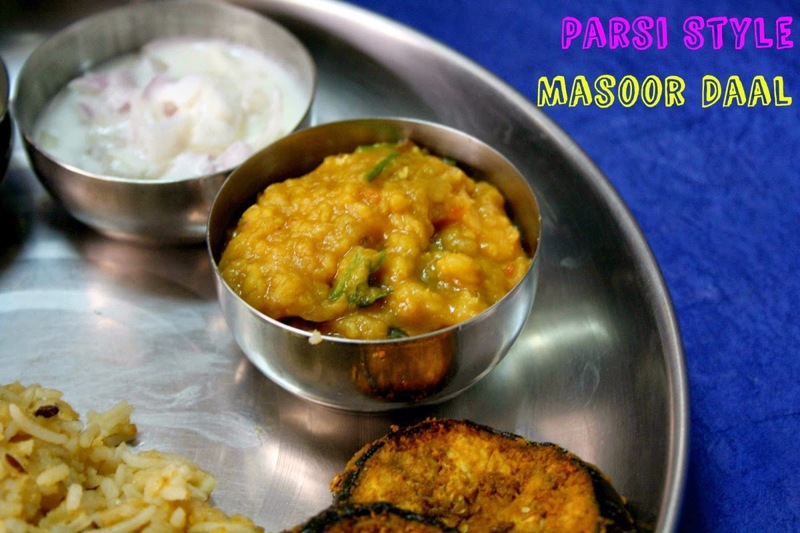 Dal looks delicious ..nice way doing with all spices..
Parsi masoor dal looks so tasty.